For convenience and efficiency, over 90% of companies pay their staff and suppliers electronically by BACS. Why should you outsource your BACS payroll submissions? BACS Software is expensive to purchase and has high annual support charges. Setting up a BACS transmission bureau is expensive and time consuming.You can avoid the costs of software installation/configuration and staff training. Who uses our payroll services? Secure Collections provide Payment Services for many accountants who calculate net payroll figures on behalf of their clients then provide the data to us for submission to BACS. 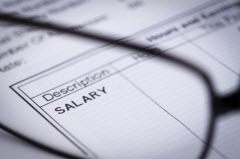 What does payroll outsourcing cost? We charge a fixed file charge for transmission which is a popular pricing strategy with our existing clients. Contact us today to discuss our BACS payroll outsourcing service.